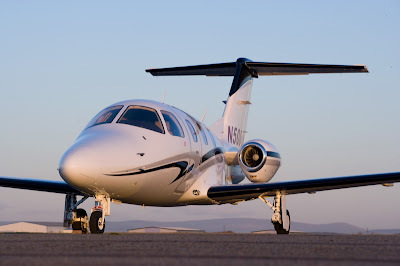 Two Eclipse owners have put together a $40m bid for Eclipse Aviation's assets which include the DayJet fleet. If successful, Eclipse Aerospace (EA) will pay $20m in cash and issue $20m in shares to take over where Vern Raeburn and Roel Pieper left off. Although this offer has passed inspection by the bankruptcy court - and the existing owners' group EOG (Eclipse Owners Group) has withdrawn, in order to back EA's offer - there is still a chance that there will be an auction later this month. I understand that there may be competition from Russia and China, although Daher-Socata is no longer an interested party. Eclipse Aerospace was started by Mason Holland and Mike Press, both Eclipse owners. Update: The fate of Eclipse will be settled on August 20th. So far the Eclipse Aerospace bis is the only runner in the race with the bankruptcy judge setting a deadline of noon on Friday 14th August for others to enter the running. If one or more bids are made then an auction will follow, if not then it is likely that the judge will approve the sale of Eclipse's remaining assets to Eclipse Aerospace.